A Book And A Brew: Bout of Books 8.0! 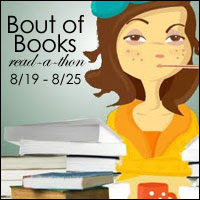 So after thinking about it for about a week, I've decided very last minute that I'm going to at least attempt the Bout of Books 8.0 read-a-thon! 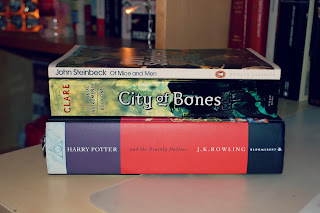 The last read-a-thon I attempted (the booktube read-a-thon a few weeks ago) didn't go to plan as anyone who stumbled upon my blog during that time will already know. It was the start of my summer which meant I was actually leaving the house (a shock I know) to spend time with my friends pretty much all day every day while the weather lasted. Now feels like a much better time to participate in a read-a-thon because things aren't so crazy and I've been reading a lot this week anyway so I thought I'd give it a shot. Another encouraging thing about Bout of Books is that they say the goal is to read more in a week than you personally would normally read and there is no competition between others or anything similar and I feel like that is a good thing for me personally. Because I decided on doing this read-a-thon so late I'm not going to pick out many books for my TBR because I can always add more and I'd rather not set myself a daunting challenge that I can't finish. I'm currently half way through reading Harry Potter and the Deathly Hallows so I will definitely finish that and on top of that I'd like to read Of Mice and Men by John Steinbeck and at least start City of Bones by Cassandra Clare but these may change depending on what I feel like reading.